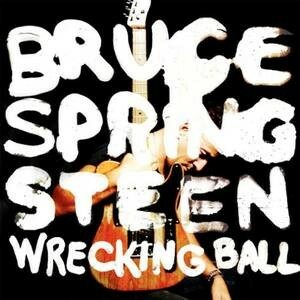 After the so-called ‘lost decade’ that was the 1990s, Bruce Springsteen revived himself with the hit 2002 album ’The Rising’, which reunited him with the legendary E Street Band and was Springsteen’s response to the September 11 attacks on the United States. Since then he’s been on a roll with a series of fantastic albums, including the folk album, ‘We Shall Overcome: The Seeger Sessions’. 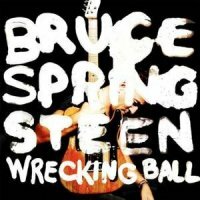 Springsteen is perhaps more relevant now than ever before and on ‘Wrecking Ball’ he offers his wise words on the crises’ that have plagued not only the United States but also the UK and much of Europe and the world. High unemployment, pay cuts/freezes, redundancies, the mortgage crises, the banking crises and so on. If there is one musician to write intelligently and movingly about the global troubles, than it’s this guy. It’s obvious that the Pete Seeger inspired ‘We Shall Overcome’ continues to have an effect on him as parts of the album are tinged with old Americana as well as the rock bombast of Springsteen’s ‘80s albums. The album features the last work by the late E Street Band saxophonist Clarence Clemmons (R.I.P.) including a solo on ‘Land Of Hope And Dreams’ which was written back in the late 1990s. ‘Death To My Hometown’ is a very moving and well executed song while ‘This Depression’ has some modern production effects that take the folk elements out of the album. The title-track was written back in 2009 before the legendary Giants Stadium in New Jersey was knocked down while ‘American Land’ was written during the Seeger Sessions of 2006 but these songs fit neatly into the album. The standout track is by far ‘We Shall Overcome’ which is the album’s lead single and is one of Springsteen’s finest songs in years. The Celtic inspired ‘Shackled And Drawn’ is a sing-along Irish pub anthem type track and ‘Jack Of All Trades’ is a low-key and wistful song. One criticism that can be aimed at Springsteen time and time again is that there are too many vocals and not enough instrumentation but that’s what a lot of people love about this guy. Springsteen is at the time of writing at Number 1 in the UK and USA and whether you like him or not you’ve gotta admit it’s great to see him heading the charts rather than the trashy disposable pop that is thrown in our faces almost every day. The Boss is back and it looks like he’s not going anyway for quite some time yet. Personally, I wouldn’t have it any other way.